A youth who stabbed and battered a boy of 14 to death has been jailed for life. Warren Leblanc, 17, admitted the murder of Stefan Pakeerah in a Leicester park in February. On Friday, Judge Michael Stokes at Leicester Crown Court said Leblanc should serve a minimum of 13 years. Stefan's parents believed Leblanc was obsessed with a violent computer game called Manhunt, but police insisted the motive was robbery. 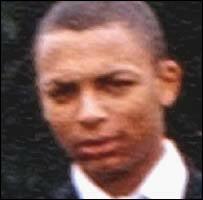 Leblanc lured his younger victim to an area known as The Dumps in Stokes Wood Park before attacking him, on 26 February. The victim was left with at least 50 separate injuries to his body caused by his attacker, the court was told. Stefan's mother, Giselle, left court as the details of her son's murder were read out. Roderick Price QC, defending, said Leblanc had been motivated by fear of a gang to whom he owed a small amount of money. He said at first the 17-year-old had only intended to overpower the young boy and use the hammer to stun him. Judge Stokes, sentencing Leblanc, said: "You have committed a truly appalling crime. "You have taken the life of a 14-year-old boy in a most brutal fashion. "I do not pretend to know or understand what prompted you to behave as you did. "One thing is clear; you and you alone were responsible for this prolonged, vicious and murderous attack on someone who thought of you as a friend."